On December 13 we will hold a charity concert at Střelnice in Tábor, which will be even more special thanks to the exclusive presence of the Czechoslovak Chamber Orchestra Prague and the opera diva Erika Jarkovská (opera soloist of the National Theater in Prague). 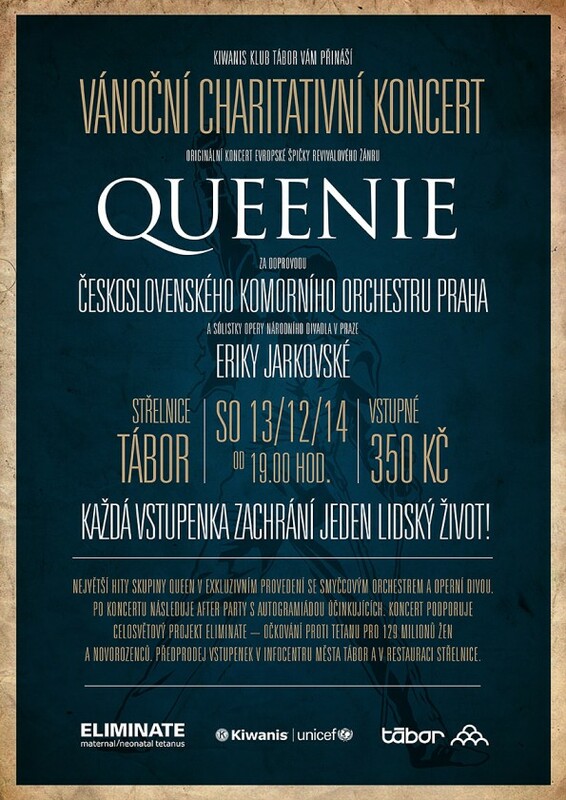 It will feature Queen music not only in the classic rock form, but also performed by the orchestra with our band. All under the auspices of Kiwanis and UNICEF. Within the worldwide project ELIMINATE – vaccination against tetanus for 129 million women and newborns, each ticket will help save one human life. To order tickets, you can contact us by e-mail, via the form here on the web or on Facebook.